The increase in blockchain technology use within the real industry gained some real momentum recently when two prominent UK-based institutional banks declared their interest in being part of a trial that is looking at ways blockchain can streamline and improve the real estate industry. Among the 40 participants in the trial, Barclays and Royal Bank of Scotland (RBS) are names that will stand out to anyone familiar with the banking sector in Europe. According to a report from Bloomberg, the trial will incorporate a tool from Instant Property Network that could see the real estate industry as a whole saving somewhere in the region of $160 billion worldwide. It wasn’t too long ago that institutional banking giants like RBS and Barclays were openly skeptical of blockchain technology, but it seems they have changed their tune somewhat in recent times. Salmons was likely referencing the fact that despite a positive outlook, blockchain technology inroads to the financial industry had cooled somewhat towards the end of last year, leaving uptake forecasts well below their presumed levels. However, it seems that the property sector could be about to change all that. “Property is an industry that is ripe for this, where a complex difficult process for customers could be made cheaper and more transparent,’’ continued Salmons. Despite the headline-grabbing involvement of the two major UK banking giants, blockchain technology is no stranger to the real estate industry, with several initiatives already in place throughout the world. In Europe we’ve seen the B11G project, looking at creating a high-tech industrial storage unit in Estonia, while Ruden Holdings in Japan have implemented smart contract technology to remove much of the time-consuming protocol that is currently part of the real estate process. Real Estate mainstays in the United Arab Emirates, Elmaar, are reported to be developing their own crypto token and could even launch an ICO in the near future. 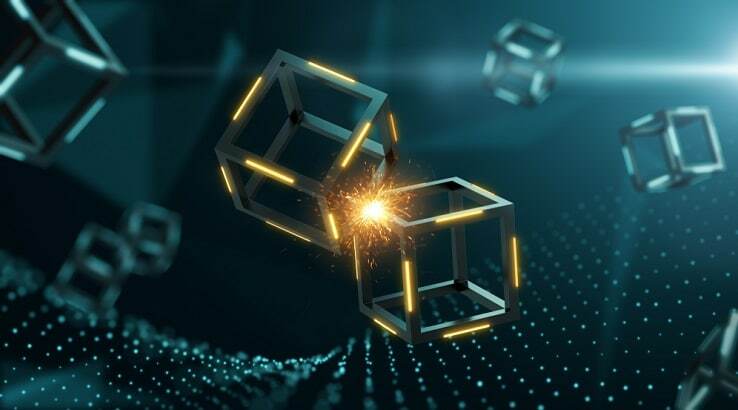 Blockchain has also opened up the real estate investment sector to a whole new class of individuals, breaking down the barriers that once meant that investing in real estate as the domain of those wealthy enough to do so. While 2018 seemed to be the year of blockchain development in the financial industry, it seems 2019 could very well be the year of real estate. For most players in the industry, this can only be a good thing, dragging the business of selling property into the modern era.